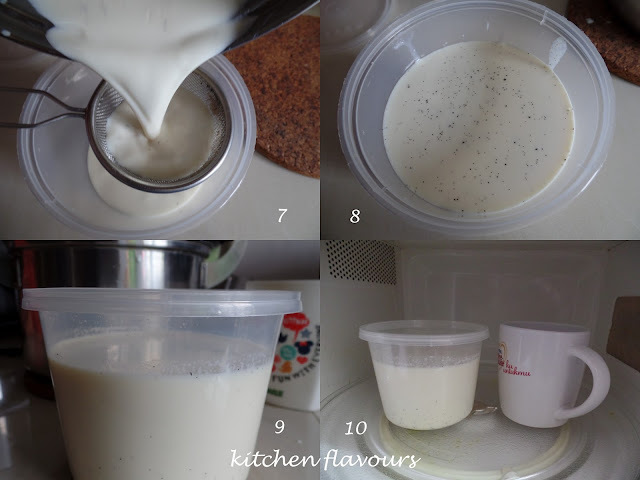 Yoghurt is really very easy to make at home. All you need is some yoghurt as a starter, and some full cream milk. I have been making my own yoghurt all this while, the only time I buy yoghurt is when I ran out of yoghurt as a starter to make another batch of yoghurt. I used my homemade yoghurt for baking, cooking, desserts or just eat it as it is. It is also great with some granola or fresh fruits and makes a wonderful ingredient in dressings and sauces. I have posted before how I made plain yoghurt, and today, I'm sharing my Homemade Vanilla Yoghurt. I always use Sunglo fresh yoghurt, which contains live ABT cultures, the microorganisms which helps to convert milk into yoghurt, and is beneficial to human health. Whatever brand of yoghurt you use, make sure that it contains ABT cultures. And I always use full cream milk, which makes a creamier yoghurt than using low-fat milk. 1. Take out the amount you need and place it into a mug. I would call this as the yoghurt starter. 2. Fill up the ice cube trays with the balance yoghurt. 3. Place in the freezer overnight until frozen solid. 4. The frozen cubes of yoghurt. 5. 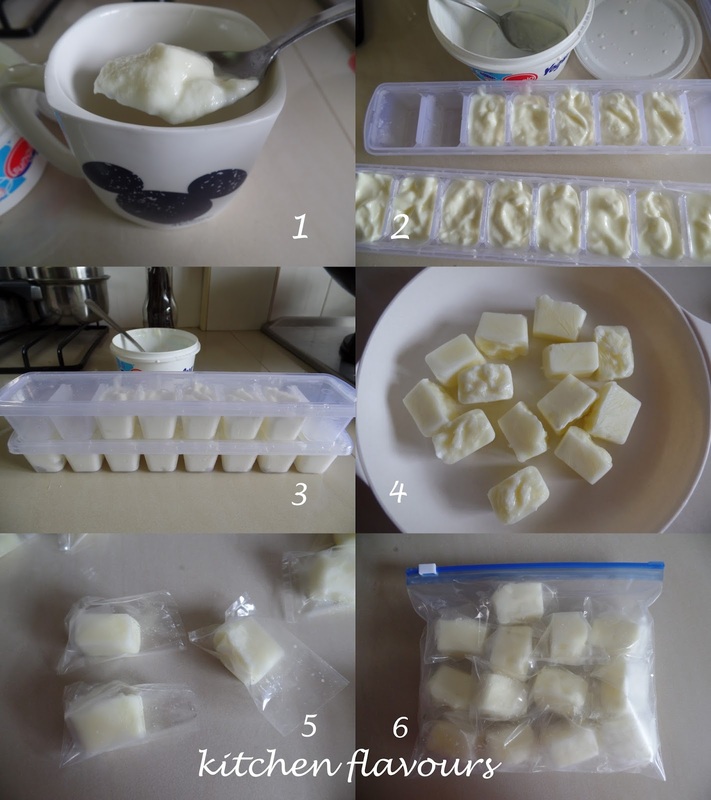 I placed each cube of frozen yoghurt in small plastic bags. I would recommend packing the cubes in small plastic bags, as I find that when I store them together without the plastic bags, they tend to stick together and it would be difficult to separate them when they are frozen. 6. Fold each of the small plastic bags over and place them in a zip lock bag. Store in the freezer and each time when you need some (either for yoghurt making or in a dish which requires just a small amount of yoghurt, this would come in handy) , just take the amount required, and thaw before use. 1. Put two cups of full cream milk into a medium pot. 2. Slit open a vanilla bean, scrape out the seeds, put the seeds and the vanilla pods into the milk. (If you are making plain yoghurt, simply omit the vanilla bean). 3. Heat the milk over low heat, and bring it to just under a boil, when the milk at the sides of the pot is just beginning to boil. Turn off heat, let milk cool to just warm to the touch, which would take about 30-45 minutes. 4. Scoop about one third cup of warm milk into the reserved yoghurt starter in the mug. The milk must be just warm, as too hot, it will kill the microorganism in the starter. Stir to combine well, making sure that the yoghurt starter is fully dissolved. 5. Pour the starter mixture back into the pot of milk. Stir till evenly combined. 6. Remove the vanilla pod. 7. Strain the mixture over a sieve into a clean container, to remove any milk skin or curdles that has formed. Don't worry, most of the tiny vanilla seeds will go thru the strainer. 8. The strained milk with the speckled of vanilla seeds. 9. Close the container. Leave at room temperature overnight, or longer, in a warm corner, undisturbed, until yoghurt sets. 10. Or, simply do as I always do, place the container of yoghurt in a microwave oven, with a cup of hot water next to it. DO NOT TURN ON THE MICROWAVE OVEN. Close the microwave oven, leave the container in it overnight to set. Remember do not turn on the oven, it is merely acting as a vacuum so that the hot vapour from that cup of hot water will circulate within the oven, and to keep the microorganisms happy in the warm environment that they will help to set the yoghurt. Homemade Vanilla Yoghurt. Store the container in the fridge and enjoy! This is the plain yoghurt which I made the week before. For plain yoghurt, simply omit the vanilla beans. You could use your own homemade yoghurt as a starter for the next batch of yoghurt. I have made yoghurt using my own homemade yoghurt as a starter, which is good for two batches, and after that it would be advisable to start on a fresh yoghurt starter with live ABT cultures. And if you need some Greek yoghurt, you can make your own too. Place two layers of cheese cloth over a sieve, and place the sieve in a bowl. Pour two cups of homemade yoghurt onto the cheese cloth, and place the sieve with the bowl in the fridge, for a few hours or overnight. 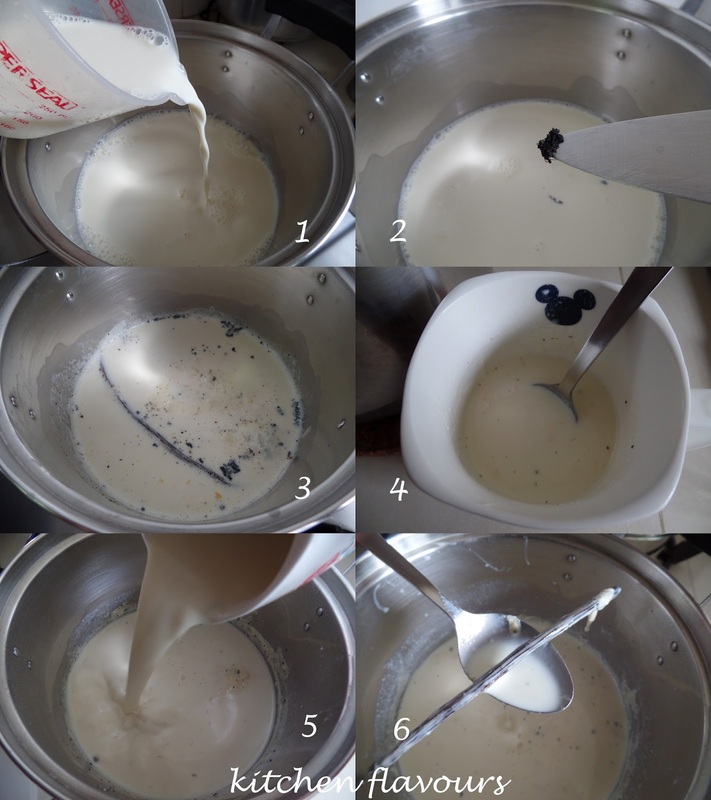 The thickened yoghurt collected on the cheese cloth will be the Greek yoghurt and the whey collected in the bowl can either be discarded or use for bread making. Now you have seen how easy to make your own yoghurt! There's no need to get one of those yoghurt making machine, you do not really need it. If you have not tried making your own yoghurt before, give it a try, you will enjoy the process of making it, and even better, the rewards of creamy homemade yoghurt to be enjoyed later! And it is so much cheaper to make your own! 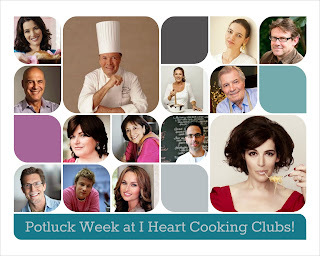 "May Potluck", the theme for this week at I Heart Cooking Clubs (IHCC). We may cook with any of IHCC's past and present featured chefs, and once again, I've chosen to cook with Nigella Lawson's recipe. Keema is usually cooked with ground lamb, but Nigella has made her version of using ground turkey and the flavours come from the Korean chilli paste, gochujang. Ground turkey is not an ingredient that can be found easily over here, so I have used ground chicken instead. This is a really easy and simple dish to cook. For the peas, I simply thaw them before cooking, did not pour any hot boiling water over them as instructed in the recipe. The ground chicken is marinated for 5 minutes or so (though I left mine in the refrigerator for about 30 minutes), with gochujang paste, honey, rice wine and soy sauce. Stir-fry the peas and scallions for 3-4 minutes, then add in the ground chicken with all of it's sauce, stir-fry for 5-7 minutes until the chicken is cooked through. Add some rice wine, water and continue to stir-fry for about a minute. Serve over white rice, with a generous scattering of chopped cilantro. This dish is a nice dish for a quick meal, though I find it a little too sweet, maybe because of the honey. But that is easily adjusted, by either omitting the honey or just use a lesser amount, to taste. Cook the rice following the package instructions, or in a rice cooker following the manufacturer's instructions. And put a kettle on to boil for the peas later. Whisk together the sauce ingredients, and stir in the ground turkey. Leave to steep for about 5 minutes, or while you are getting on with your next tasks, such as chopping the scallions and blanching the peas. Heat a wok or heavy-based frying pan on the hob. While this is heating up, pour boiling water from kettle over the frozen peas in a strainer or colander, letting the hot water drain away, thereby thawing the peas. When the wok is hot, add the oil, then the thawed peas and chopped scallions. Stir-fry for 3-4 minutes. Add the turkey and its sauce, and stir-fry for 4-5 minutes until cooked. Add the 2 tablespoons rice wine with 1/4 cup water to swill out the residue of the sauce from the meat-steeping bowl (so that nothing is wasted) and scrape and pour this into the pan, and stir-fry for about 30 seconds until it's all piping hot. Serve over rice, and with a good scattering of chopped cilantro. Bake-Along #79, My Mother-In-Law's Madeira Cake, by Nigella Lawson, from her book "How To Be A Domestic Goddess", selected by Lena to bake together with Zoe and myself, and anyone who wishes to join in our bake-along. Despite it's name, there's no madeira in the cake at all, though I am wondering why it is called as such. That led me to google out of curiosity, and read from Wikipedia, that it is called after Madeira wine, a Portuguese wine, which this cake is usually served with, and was very popular in England during the nineteenth century. I baked the cakes in two mini cake pans. There's no madeira in the recipe, but I've added 2 tablespoons of rum, well, just because! :) I have omitted the sprinkling of sugar over the top. 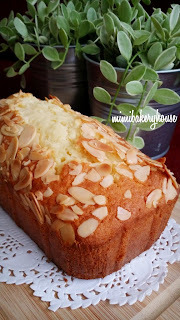 A nice cake to have with a cup of tea or coffee, though I love to try having it with a glass of Madeira! The crumbs are soft and lemony with the light fragrance of the rum which I've added. Cream the butter and 3/4 cup sugar, and add the lemon zest. Add the eggs one at a time with a tablespoon of the flour for each. Then gently mix in the rest of the flour and, finally, the lemon juice (and rum). Pour batter into prepared pan. Sprinkle with sugar (about 2 tablespoons should do it) as it goes onto the oven, and bake for 1 hour or until a cake tester comes out clean. Remove to a wire rack, and let cool in the pan before turning out. For our next Bake-Along, we will be baking "Theme : Croissant". If you are up to the challenge at trying your hands in making some croissants, now is the time! Please do join us, link your post to our linky which will open from 4th till 13th June. Everyone is welcome to join us! Only current post please. One of the co-hosts at I Heart Cooking Clubs (IHCC), Deb, has recently lost her mother. We, at IHCC is making a potluck dish to honour Deb, to offer some comfort by way of food, during this time of bereavement. Deb loves soups, so I have made a comforting bowl of pasta soup. A meatless soup (I've used vegetable stock), which do not take much time to prepare. I've used elbow pasta instead of ditalini. "I hope, Deb, that you would find some comfort in this bowl of pasta soup, even though it is only virtually. Our thoughts and prayers are with you and your family." Drain the beans and put them into a saucepan with the hot stock and pasta sauce. Bring the pan to a boil and then add the ditalini, cooking according to package instructions. Once the pasta is tender, switch off the heat, remove the pan to a cool surface, and let stand for 5-10 minutes if you can bear to wait. The pasta swells in the soup and everything just gets better. 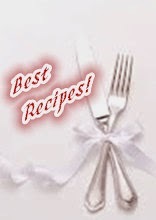 I'm linking this post to I Heart Cooking Clubs (IHCC), for Deb. A scone with a twist! One look at the loaf, and one would think that it is a twisted loaf bread! This twisted loaf is made with a scone dough. And there's no yeast, like most scones recipes, it uses baking powder. So it really isn't a bread, but more of a loaf of scone. This lovely recipe is from the book "Bread" by Dean Brettschneider, my current cookbook obsession at the moment! I just can't seem to put this book down. This is the third recipe I've tried from this book which I bought just a few months ago. There are loads of recipes bookmarked from the book, time is the only factor that is keeping me from trying them out sooner. I do have his other book "Pie", bought ages ago, but have not tried anything from it so far, perhaps I should jump on to that book next. As with most scones recipes, the dough uses baking powder. And the flavour of the dough is enhanced by the orange zest, which gives a lovely orange fragrance. The author says the secret to these scones, is the vanilla, and I do agree! There's vanilla extract in the dough and in the glaze, smells really nice! The dried cranberry filling is made the day before, and I'm wondering why it is done as such. I figured that the cranberry filling can be made in the morning and used immediately after that. Anyway, I left mine in the fridge for two days, before using it. The cranberry filling is made by boiling dried cranberries with fresh orange juice and thickened with a little cornflour solution. Allow mixture to cool, then tip the whole lot onto a chopping board and chop with a large chef's knife until it become a thick, spreadable paste. I did the easy way out...by using the blender to puree it to a thick paste. Takes only seconds! Taking into consideration, if chopping it with a knife would give a coarse texture, and by using the blender, the cranberry paste will be like a thick puree. Which is fine with me, as the cranberry paste tastes very nice! It would be nice to spread on a piece of bread, just like jam. Make the dough, taking care not to over knead it. Divide into two equal pieces and roll out each piece to a square. Spread the cranberry filling evenly on each square, roll them up tightly like a Swiss roll. Working on one log at a time, cut right through each log lengthwise. Beginning at one end, twist strands around each other down the length of the strands. Press the ends firmly together so they do not unwind during baking. Repeat with the other roll. Place the twists on lined baking sheet, spaced well apart as they will rise a little during baking. Brush with egg wash, let rest for 10 minutes and bake as directed. Make the Vanilla White Icing and use it while still warm. Use a pastry brush to brush the icing over the warm twist. Recipe mentioned to cool glazed twists completely before eating, but I find that eating them while still warm is the best. The crumbs are moist, soft, smells wonderful from the orange and the flavour of the zest really shines through. I like the cranberry filling, it pairs perfectly with these lovely twisted loaves. The Vanilla White Icing is a little sweet, so for a lesser sweet taste, the next time, I would drizzle them lightly over the twists instead of brushing them over. I would not entirely skip on the icing, as it is very nice, albeit just a little too sweet. Most scones do not keep well overnight, as they would turn a little stale, but not these! These yummy scones stays just as soft on the next day! Really nice with a cup of warm tea. Prepare filling a day in advance. Place cranberries and juice in a saucepan and bring to the boil. Reduce heat to low, add the cornflour slurry and cook for 3-4 minutes, stirring occasionally, until thick. The cranberries should soften and swell during cooking. Allow mixture to cool. Tip mixture out onto a chopping board and chop with a large chef's knife to give a thick, spreadable paste. Set aside. (I pureed the cranberry in the blender to a thick paste). The next day, sift flour, sugar, salt and baking powder into a large mixing bowl. Stir in orange zest. Add softened butter and rub in using your fingertips and thumbs until mixture resembles breadcrumbs. Whisk egg, vanilla and milk together in a bowl and pour into dry ingredients. Using a wooden spoon, mix together to form a soft dough. Tip dough onto a floured work surface and knead for 10-20 seconds. Take care not to over-knead or the dough will become too elastic. Cut dough into two equal pieces and shape into squares. Using a rolling pin on a floured work surface, roll out each dough piece to a 25cm square. Divide filling in half. Using a palette knife, spread filling evenly on each dough sheet, leaving about 1cm free along one edge. Brush egg wash along the edge. Working towards the edge painted with egg wash, firmly and tightly roll up each dough sheet to achieve a Swiss roll or log shape. Using a large chef's knife or dough scraper, make a single cut lengthways right through the middle of each log. For each log, take one strand in each hand, with the cut side of each strand facing upwards. Beginning at one end, twist strands around each other down the length of the strands. Press the ends firmly together so they do not unwind during baking. Place twists on a baking tray lined with baking paper, keeping them well apart so they don't join together during baking. Brush with egg wash and leave to rest for 10 minutes. Bake twists in a preheated 210C oven for 25-30 minutes. Turn tray halfway through baking time to ensure an even colour. While loaves are baking, make icing. Cover and set aside. Remove twists from oven and leave to cool slightly. While they are still warm, gently heat icing in a microwave and use a pastry brush to brush it over the twists. Leave to cool completely before eating. Place all ingredients in a saucepan and gently melt together over a low heat, stirring with a wooden spoon or spatula. Use while warm. 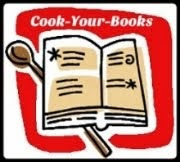 I'm linking this post with Cookbook Wednesday, which the lovely Marjie of Modern Day Ozzie and Harriet is currently hosting, while Louise is taking a break. 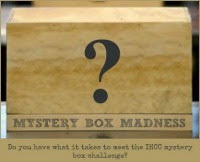 "May 2015 : Mystery Box Madness Challenge", the theme for this week at I Heart Cooking Clubs (IHCC). We are "given" a box with ten ingredients and we are to select at least three out of the ten to use in a recipe from any of IHCC's past and present featured chef. This month's mystery box ingredients are Brie, Crab, Chives, Strawberries, Vanilla, Breadcrumbs, Pecans, Green Beans, Vinegar, Puff Pastries. Originally this dish is called Asparagus Fans with Mustard Sauce, but I have replaced the asparagus with green beans. Instead of boiling the green beans, I have cooked them in the microwave for two minutes. They look rather crinkly after that! Despite their crinkly appearance, these green beans are still crunchy and sweet. Very easy and quick to put together. Get ready some hard-boiled eggs, either sliced them to strips using an egg slicer, or just chopped them up roughly with a knife like I did. The sauce is made by mixing the red wine vinegar, mayonnaise, Dijon mustard, water and some black pepper. I've added a pinch of salt. To serve, place the green beans on a plate, arranging them with one end close together and the other end spread out like a fan. Drizzle some sauce over the lower third of the green beans, scatter the eggs over, drizzle with a little more of the sauce, and sprinkle the chopped chives over. I made this for my afternoon lunch. It makes such a simple, easy meal for one. The green beans are crunchy and sweet. I really like the eggs with the sauce, and was thinking that it would make a delicious sandwich filling, over a bed of lettuce, between two slices of white sandwich bread! Lower the eggs into enough boiling water to cover them and cook at a very gentle boil for 10 minutes. Drain off the water and shake the pan to crack the eggshells. Add ice to the pan and set aside for at least 15 minutes to cool completely. Shell the eggs and place them, one at a time, in an egg slicer, cut through them, then roate them 45 degrees in the slicer and cut through them again to create strips. Alternatively, chop the eggs with a sharp knife. Set aside. Peel the lower third of the asparagus spears with a vegetable peeler. Bring 3 cups salted water to a boil in a large skillet. Add the asparagus, cover partially, and bring back to a boil over high heat. Boil over high heat for 5 minutes, until the spears are tender but still firm. Using a slotted spatula, remove the asparagus from the water and put it on a platter. (I microwave the green beans on high for 2 minutes). For the sauce : Mix all the ingredients together in a small bowl. At serving time, arrange the asparagus spears (green beans) on a platter, positioning them so the stem ends are close together and the tips are fanned out. Coat the lower third of the asparagus spears with the sauce and sprinkle the eggs and chives over and around them. Serve. "May 2015 : Mystery Box Madness Challenge". This week's bake at Tuesdays With Dorie (TWD), is Nutella Buttons. These are little mini spongy cupcakes, baked in mini muffin pan and filled with Nutella, already sounds so good! Dorie describes it as "the cake itself is a white cake with an especially fine and springy crumb, and the surprise is anything you'd like it to be". Instead of Nutella, you could fill the cake with a dollop of jam. In my house, it has got to be Nutella! These buttons are easy enough to bake. Firstly, the eggs got to be separated. The dry ingredients are mixed with the egg yolks and vanilla extract and a few drops of almond extract (which I've omitted), to a thick paste. The egg whites are whisked in the stand mixer until firm peaks and then added to the egg yolk mixture. A teaspoonful of the batter is put into the mini muffin pans, followed by half a teaspoon of Nutella and another teaspoonful or more of batter, just to the top. Bake in a preheated oven for 15 to 18 minutes until golden brown and springy to the touch. I baked mine for 16 minutes. I used a standard-mini sized 24-hole muffin pan, and got a total of 36 buttons instead of 24, which is a good thing! Remove the buttons from the muffin pan immediately after baking, and let cool on wire rack. These buttons rises really well and look very cute in little paper cups. From the picture in the book, Dorie has coated the top with chocolate ganache. But I have left them plain with only a dusting of confectioners' sugar before serving. As these little buttons are really small, you can pop the whole button into the mouth! I feel that with the ganache, it might be "chocolate overload" (if there's such a thing?, LOL! ), what with the Nutella as the filling, I do not want the ganache to take over the taste of the nutella in these little buttons. The cake itself is soft and springy. These little buttons are fun to eat and so yummy with the nutella filling. Makes the perfect snack for kids to share with their friends. I'm linking this post with Tuesdays With Dorie (TWD). Bake-Along is 4 years old! It has been four delicious years that I have been baking together with my fabulous baking buddies Lena and Zoe! Together, we have baked lots of goodies ; tarts and pies, cakes, breads, pizza, cupcakes, muffins, creme brulee, souffles, cookies, and the list goes on! There's more on the to-do list as Bake-Along is now entering it's fifth year. A big thank you to all our blogger friends for the wonderful support these four years. Cheers to all! To celebrate Bake-Along's 4th Anniversary, we have selected Cheesecake as our theme. Feel free to bake any cheesecake and join us in our Anniversary Theme, by linking your post, which must be current, in our linky below and will remain open until 16th May. I do hope that you would join us! I've made a no-bake cheesecake, Blueberry and Lemon Cheesecake. It does not look very pretty, but it is very yummy! Because I bake a lot, I always make half a recipe for most cakes! haha! I've used two mini 5-inch round springform pans. This cake has a biscuit base, marscapone and creme fraiche filling, and top with blueberry sauce. Quite a simple cake to make. Firstly make the blueberry sauce, as it needs to be cooled before using. Blueberries are simmered in a small pot with some sugar and lemon juice, until the blueberries has burst and the sauce thickens. I find that the sauce is still very runny, so I have used some cornflour mixed with a little water to thicken the sauce a little. Digestive biscuits are crushed and mixed with some melted butter. I did not use all of the melted butter. I added a little at a time until the crumbs are buttery and can be clump together. Press the crumbs on the base of the lined and greased pans, pressing them down firmly using the back of a spoon. Next make the filling. The filling is made by whisking together the mascarpone cheese and creme fraiche until smooth. Sifted icing sugar and lemon zest are added in. I've made only half a recipe but ended up using the whole amount of icing sugar for a full recipe, as using half of it not sweet at all. You really need to taste on the sweetness, as advised by the author. Pour the filling over the crumb base, and top with the blueberry sauce. Refrigerate for at least 3 hours or until set. I actually refrigerated without the topping for about 2 hours, and then I top with the blueberry sauce, and refrigerated for a further 2-3 hours. Blueberries, Blueberries! We love blueberries! A slice of yumminess! Sweet blueberry sauce, a little tangy (from the lemon juice), against the creamy cheese filling and the buttery crumb base, makes this a delicious dessert, perfect for any occassion! Begin by making the blueberry topping. Simmer the blueberries with the lemon juice and sugar in a saucepan for about 5 minutes until the fruit has burst and you have a thick sauce. Set aside to cool. To make the crumb base, crush the biscuits/graham crackers to fine crumbs in a food processor or place in a clean plastic bag and bash with a rolling pin. Transfer the crumbs to a mixing bowl and stir in the melted butter. Press the buttery crumbs into the base of the prepared cake pan firmly using the back of a spoon. To make the filling, whisk together the mascarpone and creme fraiche in a large mixing bowl until smooth. Sift in the icing/confectioners' sugar, add the lemon zest, then whisk again. Taste the mixture and add a little more icing/confectioners' sugar if you wish it to be sweeter. Spoon the filling mixture over the crumb base and level with a knife or spatula, then spoon the blueberry topping over the top. Chill the cheesecake in the refrigerator for at least 3 hours or until set, then cut into slices to serve. For our next Bake-Along, we will be baking "Mother-In-Law's Madeira Cake", from To Be A Domestic Goddess by Nigella Lawson, pg 5, or here. Please do join us, link your post to our linky which will open from 21st till 30th May. Everyone is welcome to join us! Only current post please. 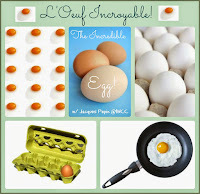 "L'Oeuf Incroyable" (The Incredible Egg), the theme for this week at I Heart Cooking Clubs (IHCC). Oh yes, eggs are pretty incredible, nobody could argue with that! I've chosen to make this pretty incredible eggs with soldiers, well, Jacques Pepin style, with hidden yumminess under the eggs. He calls this Cocotte Eggs with Creamed Mushrooms. I have made eggs with soldiers many times, but have always bake the eggs in the oven until it is just set. Jacques Pepin's method is however, cooked the eggs in ramekins placed in a saucepan which is filled with water and placed over a low heat, keep at a simmer for about 5 minutes or so until the eggs are done to your liking. I like his method better! His recipe uses white mushrooms but I've used fresh shiitake and also, I've added three medium leeks. Saute some chopped shallots, then the leeks which I've cooked for about 3 minutes before adding in the fresh sliced mushrooms. Cook for a few minutes, add salt and pepper to taste, add some cognac and heavy cream. Recipe uses cognac but I have an open bottle of white wine, so I used that instead. Continue to cook till the sauce has reduced, but still creamy. Divide evenly between ramekins. Scatter some cheese over, break an egg over the top, place in a saucepan that has a lid, and some hot water that comes right about halfway up the sides of the ramekin. (Have the saucepan ready with hot water in a low simmer while you are preparing the eggs). Cover the pan and let simmer, making sure it is a low simmer, for a few minutes until the egg is set to your liking, check it often has eggs tend to cook really fast when you are not watching! To make the toasted soldiers, I buttered some slices of white bread on both sides, sprinkle with some garlic powder and dried oregano on both sides, then using a serrated knife, cut the bread into long sticks and toast in the oven at 180C until golden and crispy, about 10 minutes. Serve the Cocotte Eggs immediately with the toasted sticks. The creamed mushrooms and leek underneath the eggs and the cheese. Yummy! Heat the shallot and olive oil in a small saucepan over high heat. When the mixture begins to sizzle, cook for about 30 seconds. (Add the leeks, stir-fry for a few minutes). Add the mushrooms, salt, and 1/4 teaspoon pepper and cook, stirring occasionally, for about 2 minutes. Add the cognac, mix well, then add the cream and bring to a boil. Boil over high heat for 1-1/2 to 2 minutes to reduce. Divide the mixture in the saucepan among four small (1/2-cup) pots de creme ramekins or other small moulds and sprinkle the cheese on top. (The recipe can be prepared ahead to this point). Just before serving time, break an egg into each ramekin and arrange the ramekins (without their lids) in a saucepan that is deep enough so the pan lid fits on top to cover the ramekins while they are cooking. Pour enough water around the ramekins in the pan to extend about 1/2 inch up the sides. Bring to a boil, cover the pan (not the individual ramekins), and cook for 5 to 7 minutes, or until the eggs are set but still a little runny. To serve, place a ramekin on each of four plates and sprinkle a little freshly ground black pepper on top of the eggs, if you like. Arrange some sticks of bread around the ramekins and cover the moulds with their lids if they have them, so diners have the pleasure of lifting the tops. Serve with a small espresso spoon on each plate.